Do you have a broken power window regulator or motor for car, truck, or SUV and live in Summerlin Las Vegas? 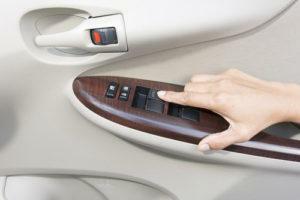 Having problems rolling up your power window up or down, or the controls are malfunctioning? You need assistance from power window motor and regulator repair specialists to perform a thorough inspection, diagnose and testing to better assist you and explain any necessary job for repair. California Auto Glass Inc is here for you with over 15 years in business and servicing several locations in Las Vegas and the surrounding areas. We have over 20,000 auto glass and auto parts with affordable pricing to make sure you have your power windows working properly the same day they broke or damaged. In case you encounter an emergency with a cracked window, windshield or auto glass, take advantage of our emergency mobile services, meaning that we come to your locations within minutes and start repairing any damage to your auto glass vehicle. We are available 7 days a week including on Sunday. Don’t hesitate to call us even if it’s just to ask for a quick quote or pricing for repairs and parts. California Auto Glass specializes in installing and repair auto glass, and power windows. Call us today!